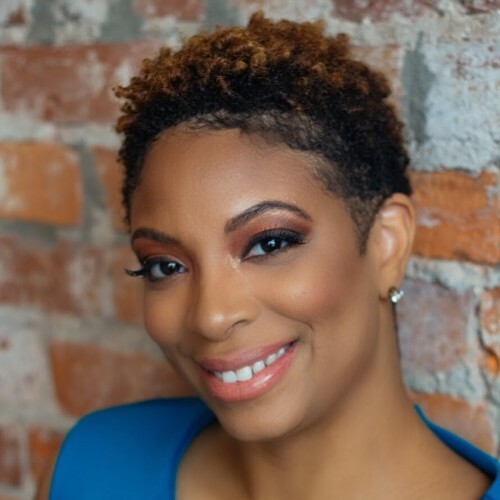 Tina M. Payne, MSN, RN is a business coach, author, masters prepared nurse and engaging speaker who helps women push past their fear and doubt by removing excuses and using their passion to creating a dream business. A single, teen mom who made it all the way to nursing school only to be kicked out her first year, Tina knows a lot about being the underdog and having to work hard for everything she wants. Tina M. Payne, RN, MSN, (CEO Mom) is the owner of Tina M. Payne Consulting a division of Grace Health Career Center, an educational service providing BLS/CPR/First Aid Certification and Medication Administration Certification. Tina has expanded her services to consulting by using her business experience to empower other female healthcare professionals to activate their purpose and create a dream business through her individualized coaching, online digital products, and group education. Tina often shares her business journey and lessons via her website or vlog Goals of a CEO Mom on how she went from wearing scrubs to selling scrubs with her company Grace Health Scrubs. Tina uses her combined business, teaching, and nursing expertise in order to elevate, mentor, and coach other exceptional women seeking a transformation as they start or grow their dream business. Tina’s approach is to have her clients start where they are and she teaches them how to monetize the skills and background they already possess. One of Tina’s goal is to help women and mothers create freedom in their lives by creating a legacy for their families. Tina has applied her knowledge gained while launching Grace Health Scrubs, to serve as a coach and inspiration for busy moms and nurses looking to start a business. Tina has written a downloadable guide and wrote several online articles regarding starting a medical apparel business. Tina believes that nurses have unique qualities that make them exceptional business owners. In addition, Tina recently launched her signature online group coaching program “Scrub Shop Academy” for nurses ready to launch an online scrubs business. Tina M. Payne is a graduate of the University of Phoenix, with a Masters in Nursing Education. She successfully obtained her Bachelors of Science Degree in Nursing at Wright State University. Tina has worked as a Registered Nurse for over 14 years in a variety of areas. Some of those include as a Nursing instructor, hospice, progressive care, emergency room, and telemetry units. Tina has demonstrated leadership in her community and was recently voted to the board of her local chapter of Black Nurses Rock Cincinnati, a non-profit organization that aims to inspire, empower, and educate those in underserved communities. Tina the author, speaker, and entrepreneur attributes a lot of her personal motivation and drive to her loving husband and five beautiful children. Connect with Tina to give your audience that extra push towards their purpose. Find out more about Tina M Payne, MSN, RN at http://www.tinampayne.com.